When scientists discover a new way to prevent disease or overcome infertility, they usually get applauded. But throw genetic engineering into the mix and it gets dicey fast. Genetic engineering in reproductive medicine is particularly scary because we’re talking about changing the genes of future generations. So any new technique is sure to incite controversy, especially in the United States. The mitochondria are essential to almost every cell in our bodies, so diseases caused by mutations in mitochondrial DNA can be extremely debilitating, with symptoms including seizures, developmental delays, blindness, and organ failure. But when it comes to defining and regulating MRT, there’s considerable disagreement. Is it just another form of in vitro fertilization, or is it an early form of gene editing that could quickly lead to riskier attempts at human enhancement? In 2015, the United Kingdom became the first (and so far only) country to officially legalize the procedure, strictly to prevent genetic disease. And this February, doctors at the Newcastle Fertility Centre in the UK performed the therapy on two mothers. Australia and Singapore are currently considering whether to follow the UK’s lead and permit the procedure. In the US, research on the experimental procedure has been banned since 2015 due to a rider that was furtively added to an appropriations bill. The ban has been baffling to scientists, most of whom consider the procedure worth studying. Yet it hasn’t stopped one US doctor, John Zhang, who runs a fertility clinic in New York City, from performing MRT in Mexico for a couple. And a clinic in Ukraine is partnering with Zhang’s clinic to offer this procedure to Americans who can afford the $15,000 fee. 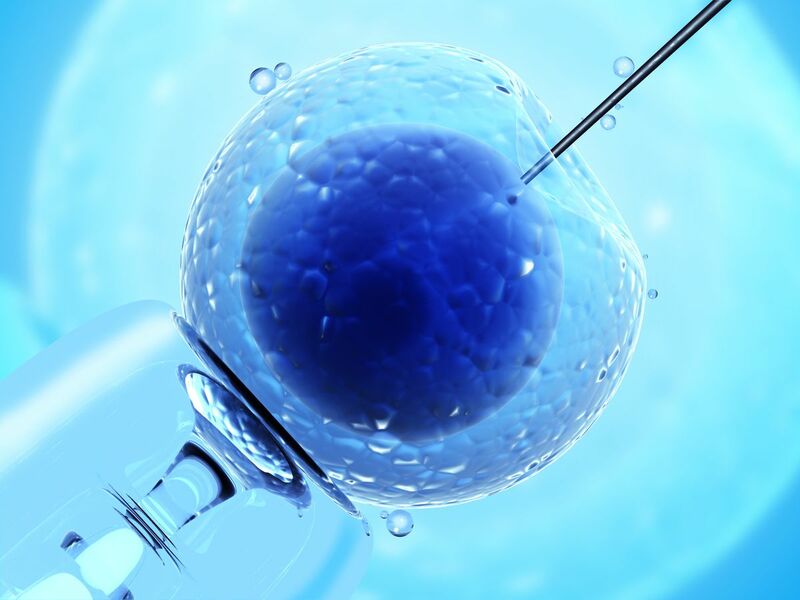 MRT has garnered its fair share of criticism, given that it involves manipulating an embryo, which changes the genes of future generations of humans. And so far, only a handful of babies have been born using MRT over the past two years, which means we don’t yet know if there will be any long-term effects on them. But since MRT is not so far removed from other fertility treatments, some scientists believe that it simply needs more research and proper regulation to become commonplace, perhaps even an IVF option for lesbian couples who want to have children genetically related to both of them. With gene therapy and gene editing technologies like CRISPR giving us increasing power to change the DNA of future generations of humans, the story of MRT shows us the kinds of conversations we need to have surrounding these ethically tricky therapies. So how does it work? Should we be scared of it? And why did it get banned in the US? Here’s what we know. You may recall that the mitochondria are called the “powerhouse” of the cell. That’s because they float around in all our cells with the main function of producing high-energy molecules (called ATP) that fuel most processes in our bodies. But mitochondria are especially interesting because they have their own DNA. About 99.9 percent of our DNA is housed in the cell nucleus as chromosomes. That extra 0.1 percent is located — you guessed it — in our mitochondria. The inheritance of mitochondrial DNA is not as well-studied as the inheritance of DNA from the nucleus, or nuclear DNA, but we do know that if a mother has certain mutations in her mitochondrial DNA, it increases the risk of a child having severe disease. So how does mitochondrial replacement therapy work? To be clear, it is not exactly gene editing because doctors are replacing DNA that lies outside the nucleus. Instead, it falls under the umbrella of genetic manipulation. 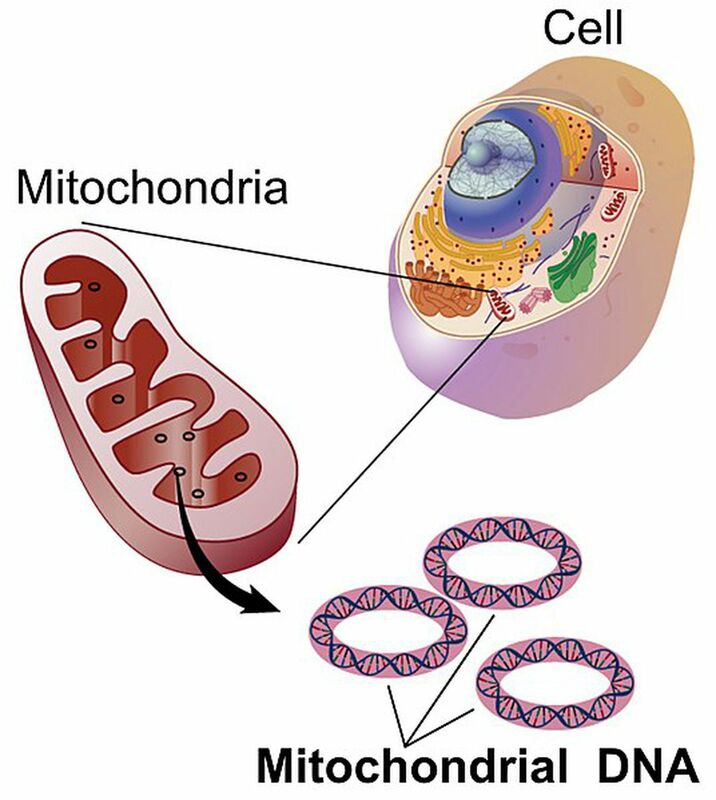 While the nucleus of one of our cells contains about 30,000 genes, our mitochondria contain just 37 genes. These genes only code for proteins involved in making ATP, the molecule that provides energy for most of our cellular processes. Just like our other DNA, our mitochondrial DNA can mutate, leading to the production of faulty proteins. Those faulty proteins can cause neurological diseases like Leigh syndrome, which is caused by damaged brain tissue, and MERRF, which results from abnormal muscle and nerve cells. These diseases are pretty rare. An estimated one in 5,000 people have mitochondrial diseases stemming from both nuclear and mitochondrial DNA mutations, with nuclear DNA mutation as the larger contributor. Using data from 2012, researchers at Newcastle University estimated that about 778 births per year in the US are at risk for inheriting diseases due to mitochondria DNA mutations. Mitochondrial replacement therapy offers a solution for mothers who may not want to pass down their mitochondrial DNA. Instead, a female donor’s mitochondria are used. So even though the popular phrase used to describe the treatment is “three-parent baby,” the resulting embryo only has a tiny bit of DNA from the donor. A child born from MRT has 99.9 percent of its DNA from its two parents. There are a few ways of transferring mitochondria, but the two most common methods of doing MRT are pronuclear transfer and spindle transfer. It gets a bit complicated here. In pronuclear transfer, both the maternal eggs and the donor eggs are fertilized via IVF. The fertilized nucleus (known as the pronucleus) of the donor egg is destroyed and replaced with the fertilized nucleus of the maternal egg, which has the DNA of the mother and the father. In spindle transfer, the nuclear DNA from the mother (known as a spindle) is transplanted into the donor’s egg, replacing the donor’s DNA. This new egg is fertilized by the father’s sperm via intracytoplasmic sperm injection, a technique that’s similar to IVF, except the sperm is directly injected into an egg rather than entering the cell on its own in a petri dish. Pronuclear transfer is the easier and cheaper method since the pronucleus is larger and easier to image and transfer than the spindle. But it also poses some moral and religious questions because it involves the destruction of fertilized nuclei, which some may consider akin to abortion (all the donors’ nuclei are fertilized and replaced). Scientists at the Newcastle Fertility Centre use pronuclear transfer, while Zhang’s clinic uses spindle transfer. The UK hospital has been pretty quiet about the procedure — the press office told Vox that it could not grant interviews yet — but the Guardian has reported that it’s done the procedure on two women. Today, it’s illegal to perform MRT in the US, while the UK is at the forefront. But most of the research behind MRT — and the first baby born using the technique — was a result of the work of American scientists and doctors. In 2009, researchers at the Oregon National Primate Research Center successfully performed MRT in a Rhesus macaque monkey. Follow-up studies like this one and this one concluded that MRT had the potential to be performed in humans. Taking this data into consideration, the Food and Drug Administration’s Cellular, Tissue, and Gene Therapies Advisory Committee held a meeting in 2014 and concluded that more research was needed before it could be legalized. Then in 2015, the FDA requested that a committee from the National Academy of Sciences review the procedure, and the committee published a report essentially saying that with oversight, MRT could be justified. Progress came to a halt when Congress passed the Consolidated Appropriations Act of 2016. Among other things, the bill included a rider that banned germline modifications. This term encompasses all genetic engineering on eggs, sperm, or early embryos — modifications that would be passed down beyond a single generation. But there’s a big difference here: MRT gives us significantly less control than CRISPR over an embryo’s genes because the mitochondria only hold about 0.1 percent of our DNA. Yet since MRT involves changing the DNA in an egg, the rider also made MRT illegal. It’s unclear which Congress members included this rider, but it has been renewed every time and remains in the 2018 iteration of the act. For now, women in the US with mitochondrial mutations don’t have any domestic options to prevent passing the mutations down if they want to be genetically related to their child. To get around the restrictions, Dr. Zhang took a couple to Guadalajara, Mexico, in 2016 to perform MRT for them. And then he got a letter from the FDA notifying him that he was breaking the law. So while MRT has now become popular in the UK, its application in the US is still up in the air. Germline modifications — or changes to DNA in eggs, sperm, or early embryos — are controversial because they can theoretically involve altering future generations of humans. Especially in situations where regulations are minimal — or nonexistent, such as in Ukraine — giving scientists the ability to change the germline can be dangerous. CRISPR, a powerful method of gene editing, was used to modify an embryo in 2017. In response, scientists published a statement in Cell, essentially saying that while research on genetic modification shouldn’t be prohibited, it should have proper oversight. These debates are important because we should be aware of the power of our science. Eugenics is the idea that humans can be selectively bred to create a perfect species. It reached an infamous nadir with the Nazi movement to create an “Aryan race” by wiping out people with undesired traits. It has a pretty dark history in the US as well. But going from MRT to eugenics is a bit of a leap, particularly because the mitochondria only have 37 genes, which mostly lead to proteins specifically involved with metabolism. In 2014, Marcy Darnovsky, executive director of the Center for Genetics and Society, wrote an op-ed in the New York Times explaining why MRT shouldn’t become legal. She noted that more than the scientific considerations, it’s the ethical issues that are more worrisome. Why should a woman undergo this experimental therapy, when safer alternatives such as in vitro fertilization or adoption exist? “Simply being able to do something doesn’t mean we should do it,” she wrote. Scientists believe that MRT is not much more ethically complicated than artificial insemination. Adashi considers the UK’s method for licensing MRT the gold standard of how to adjudicate difficult ethical questions. Darnovsky and the FDA consider MRT to be similar to embryo editing via CRISPR — a change to the human germline, and therefore worthy of concern. But scientists in favor of MRT and the HFEA believe it to be more like in vitro fertilization, a fertility treatment that does not change the nuclear DNA. Turns out this difference in definition is the key to whether it’s accepted. Adashi calls mitochondrial DNA “sort of a Wild West” in the study of heredity because there’s a lot about it that we still don’t know. For example, we’re not certain why the DNA in our mitochondria typically mutates at a much lower rate than our other DNA. We also don’t really know how mitochondrial disease gets passed from mother to child; at this point, it seems random. More importantly, as it pertains to the outcomes of MRT, what could happen to a child who has donor mitochondrial DNA that comes from a different source than nuclear DNA? Since mitochondrial replacement has only happened over the past few years, we don’t know the long-term effects yet. But in order for this research to be done, the rider needs to be changed, since it currently prohibits anyone from even applying to the FDA to research MRT in humans. Earlier this year, Adashi co-authored a paper in Obstetrics and Gynecology explaining his belief that the ban on MRT research should be removed. Most scientists don’t want rampant and unregulated MRT on the table. In fact, it’s quite the opposite. Scientists want regulations to be eased so that more research can be done on these unanswered questions about MRT; so that it can be carried out safely for those who really need it. Previous articleThe Delta Aquariids meteor shower peaks this weekend. Here’s how to watch.